Generate, follow up, and close franchise sales leads. Train new franchises on marketing and sales. Consult and advise on marketing with all franchise marketing reps. Combination of construction, sales, and marketing background. Also interested in relocating to Denver. Putting good hard working people in business. No particular role model, Just hard work, tenacity and supporting my fellow team members. 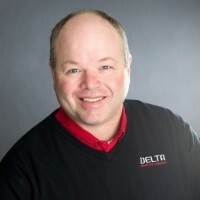 Delta Development Group (franchise company for Delta Disaster Services). We are a full service Restoration company, meaning we provide the reconstruction services franchise opportunities after the mitigation portion has been performed. We are a founder lead company. We pride ourselves on the values we project as a company. We are leading the industry with the use of technology. United States: South West, South, and South East.